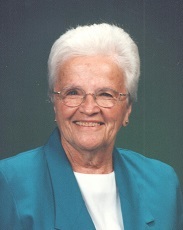 Dorothy P. Heichelbech, age 93, of Ireland, Indiana, passed away at 2:10 a.m. on Wednesday, December 5, 2018, in Northwood Retirement Community in Jasper, Indiana. Dorothy was born in Ireland, Indiana, on September 29, 1925, to Frank and Clara (Stenftenagel) Schnaus. She married Charles J. Heichelbech on February 17, 1947, and he preceded her in death on December 15, 2003. She was a graduate of Ireland High School. Dorothy was a homemaker and member of St. Mary's Catholic Church in Ireland and the St. Ann's Society. She enjoyed fishing, golf, bingo, cards, birds, and animals. Surviving are four children, Judy Sharer, Jasper, IN, Jane (Jerry) Strain, Paris, TN, Stan (Jane) Heichelbech, Jasper, IN, Tom Heichelbech, Indianapolis, IN, five grandchildren, 10 great grandchildren, and one brother, Leo (Verena) Schnaus, Ireland, IN. Preceding her in death besides her husband are two sisters, Alice Helling, and Mary Schnaus, who died in infancy, and three brothers, Clarence, Felix, and Amos Schnaus. A Mass of Christian Burial for Dorothy P. Heichelbech will be held at 11:00 a.m. on Monday, December 10, 2018, at St. Mary's Catholic Church in Ireland, Indiana, with burial to follow in the church cemetery. A visitation will be held from 9:00 a.m. until the 11:00 a.m. service time at the church on Monday. In lieu of flowers, memorial contributions may be made to St. Mary's Catholic Church, the American Cancer Society to a favorite charity.